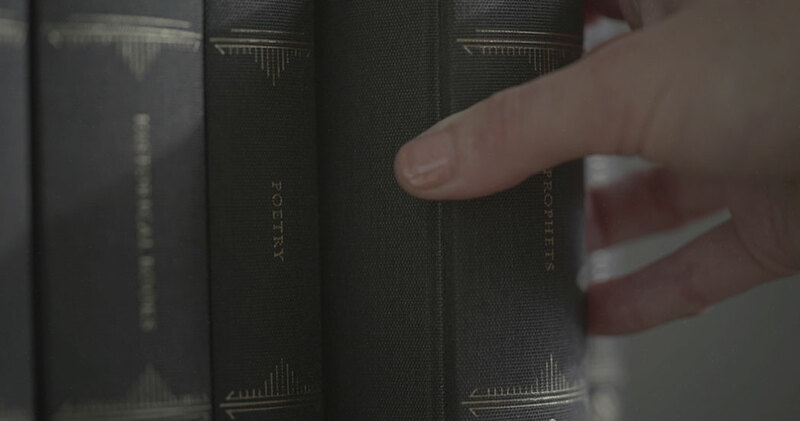 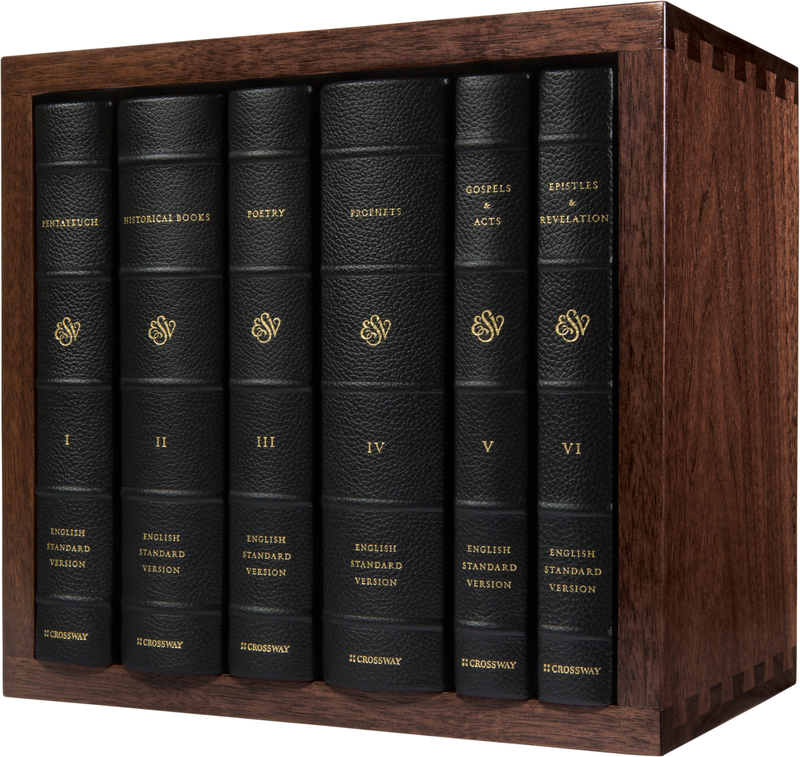 The ESV Reader’s Bible, Six-Volume Set stems from the conviction that the Bible is of immeasurable value and should therefore be treasured—and read in the most seamless way possible. 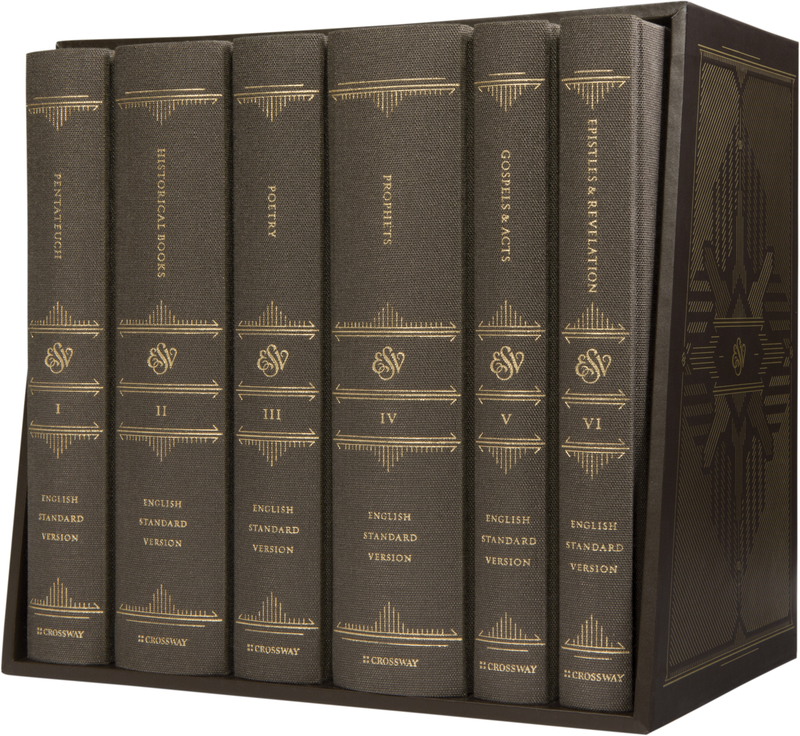 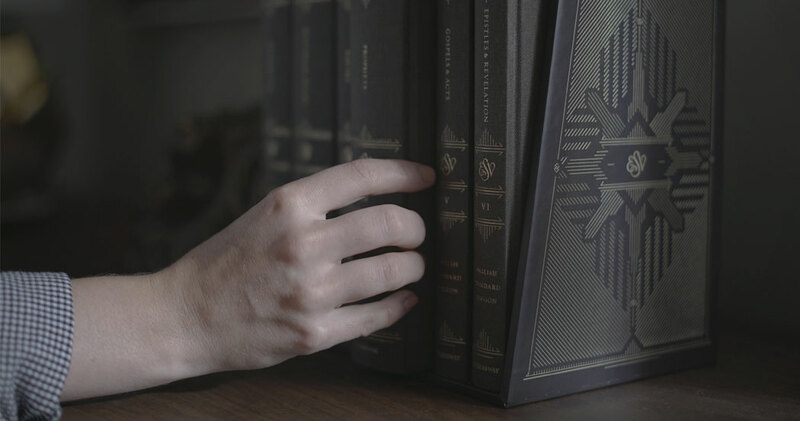 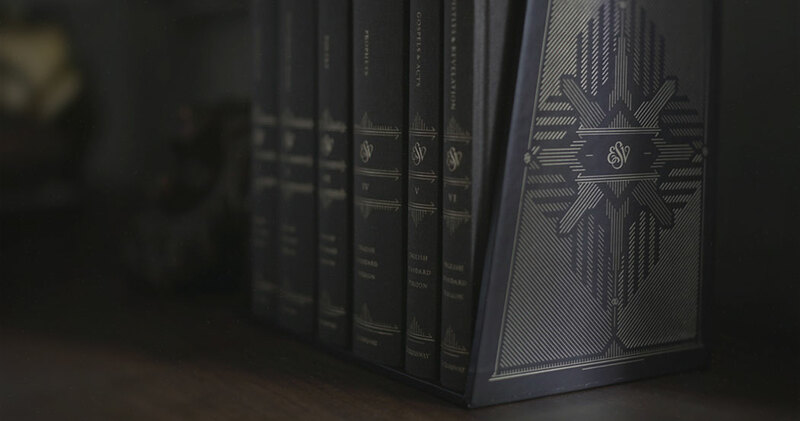 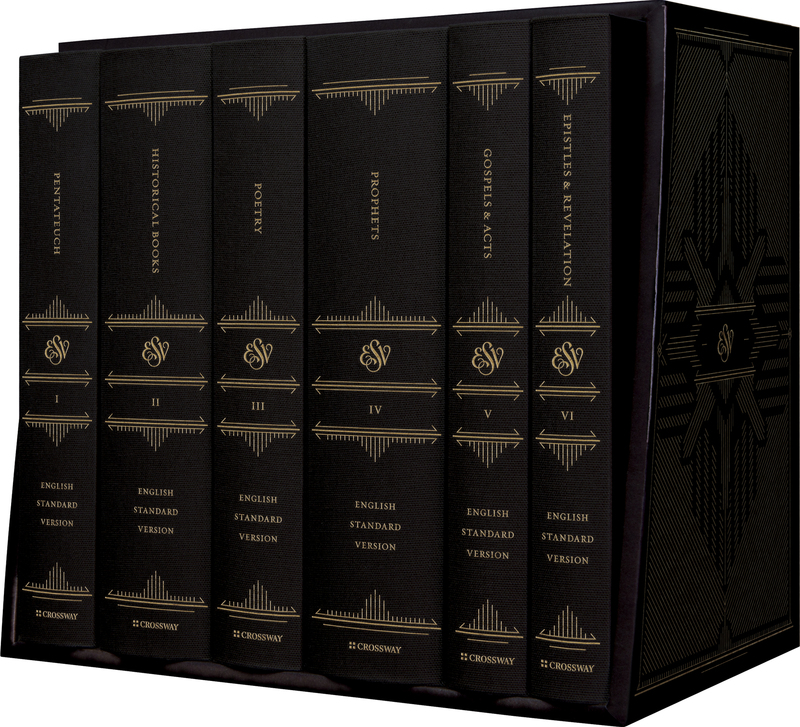 Constructed with materials carefully selected to reflect the beauty of God’s Word, the ESV Reader’s Bible, Six-Volume Set is a unique collection designed for those desiring a cleaner, simpler Bible-reading experience. 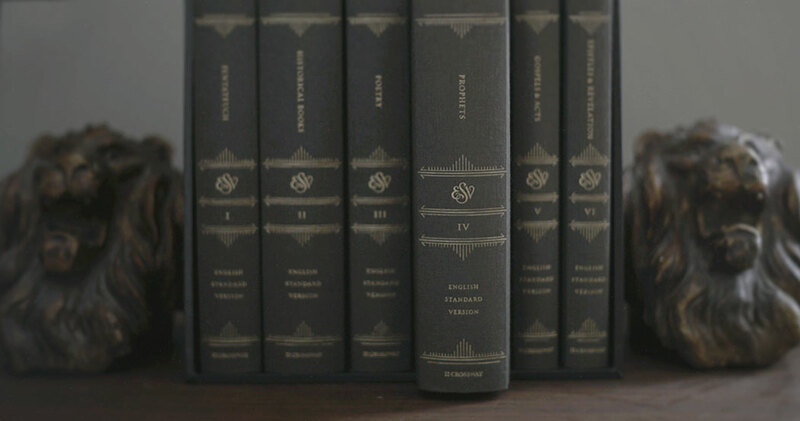 Printed on European book paper with smyth-sewn binding and packaged in an elegant slipcase, this edition features single column text that is free of all verse numbers, chapter numbers, and footnotes, as well as most section headings—resulting in a unique Bible-reading experience that helps readers encounter and delight in the beauty of God’s Word.